2. Unique and special experience in Jeju Island! 3. You can also try Korean traditional folk games that used to be popular on the street! 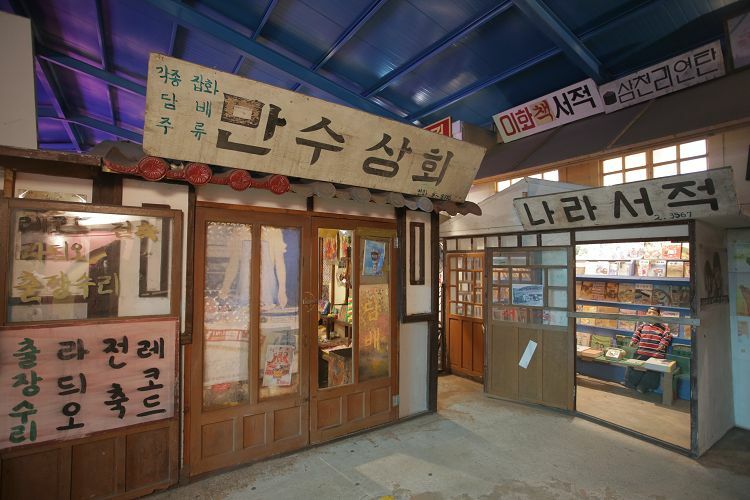 Seonnyeo and Namukkun Theme Park is a themed exhibition hall that shows the 1970s of Korea in Jeju Island. Highly recommended to those who are interested in past Korean lives and culture. Walking around the park on the old Korean school uniform will make you feel like you have gone back in the past! • Various themes, such as the view of Daldongdae (moon village) and city streets in Korea in the 50s ~ 80s. • You can rent out an old Korean school uniform! • Enjoy playing the traditional folk games that were popular at that time. 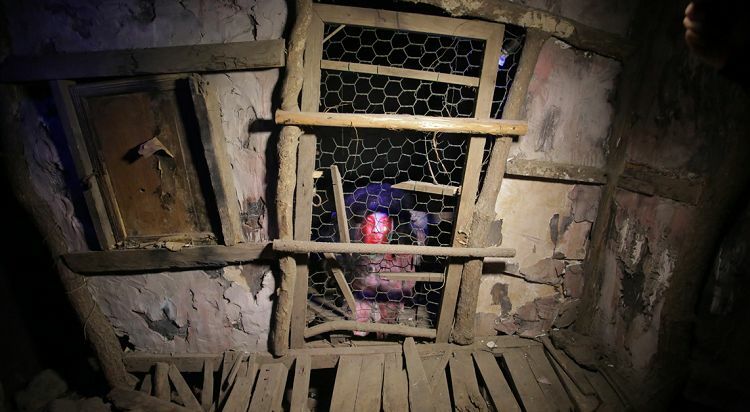 • You can go inside the horror house full of ghastly goblins. 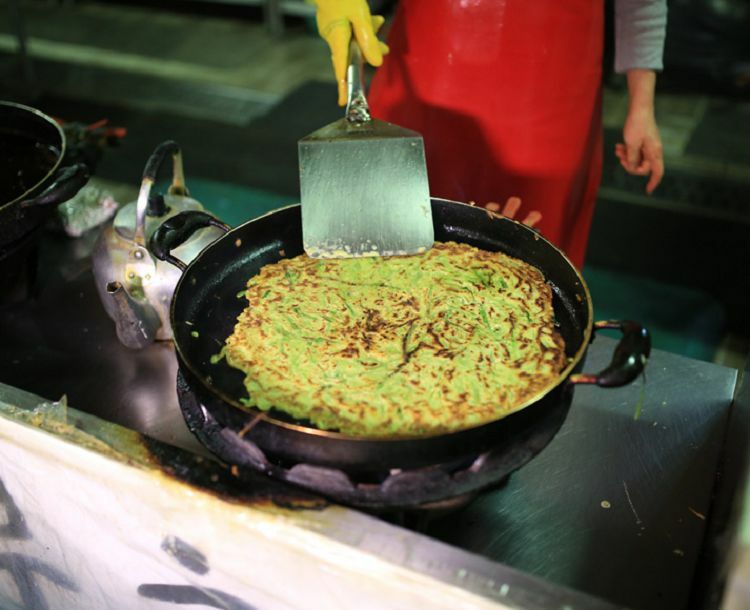 • Taste Korean pancake and makgeolli (Korean rice wine)! Traditional teas, various souvenirs, accessories, and other gifts that commemorate Seonnyeo and Namukkun Theme Park. Keep a souvenir of the Seonnyeo and Namukkun Theme Park! If you have experienced life and culture of the 1970s of Jeju Island, it is time to taste the Korean traditional local foods. There are mug bean pancake, Makgeolli, and Dongdongju that were sold in the old market. If you want to feel the traditional atmosphere of Korea, you should try them. 1. Reserve and purchase the desired option and Check mobile voucher or email voucher. 2. Present the voucher at the ticket counter, get an actual ticket, and enter. 1. Available to look around even in rain. 2. Smoking, beverages, coffee, gum, and other outside foods are not allowed inside the park. 3. If you destroy or damage the exhibits and museum facilities, you are liable for damages. Q. Is there any storage locker? A. You can store belongings at the ticket counter. Please inquire the staff at the ticket counter. However, please be sure to keep your personal belongings yourself.